Small backyards can sometimes seem limiting in terms of what you can add to them. Don't be deterred though, as there is a plethora of ways to decorate it. 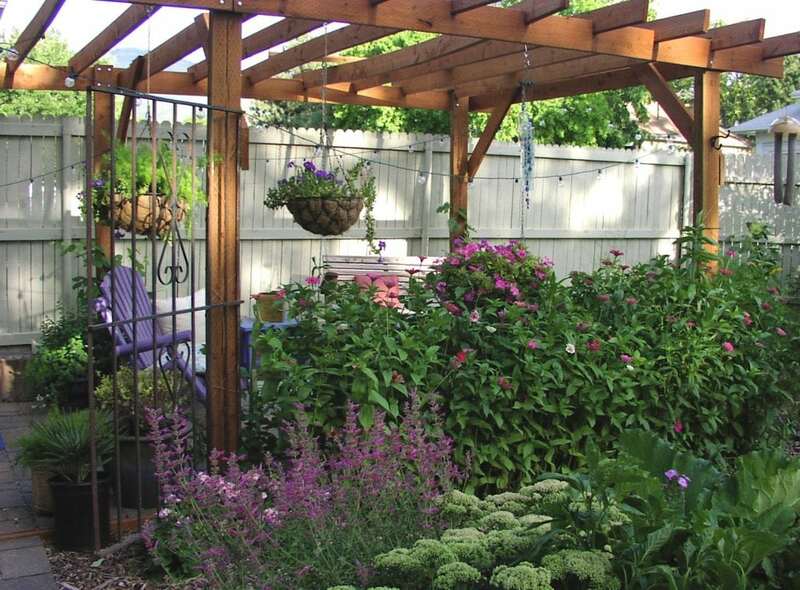 Small backyards have many landscaping options to make them beautiful and open. Here are some ideas to help. Adding a deck is a quick, efficient and natural way to add onto a small backyard. It will also cost less than the national average if you have a small backyard. They are also good for adding two levels, which can be good if you want to have one for dining and another for plants. It's also a way to separate the yard from another type of space without taking up a lot of room. Pro tip: deck boards should be laid diagonally, not straight to optimize yard square footage. If you aren't planning to hold huge parties in the backyard, then you should buy smaller furniture. Instead of couches, buy loveseats and chairs and rather than a long rectangular chair, you might consider a circular table. By having smaller furniture on your deck, patio or in the backyard, there will be more space available for movement and other decor. You might also consider having an awning over the furniture, whether it's a simple fabric awning or an extension of your roof, so you can enjoy the furniture during inclement weather. 4. Keep it simple and clean. While you're limited in square footage, this does not mean you should try and fit every single flower, shrub and tree you can. Otherwise there will be overgrowth, and maintenance will be difficult. Instead, you should keep the landscape design simple. Focus on the essentials of the backyard: grass, some shrubs and flowers artfully placed throughout. You can organize it better by installing flower beds and potted plants for easier management. 5. Go bold on the color scheme. Although you have to be simple with what investments you make in the landscape, you can still be bold with the colors. Reds, blues, purples, oranges, yellows–the color scheme is endless. You want your small backyard to jump out to visitors and you when walking out the back door. By having a rainbow of colors, the small backyard will look and feel like a heavenly garden even if it's not the biggest one in the neighborhood. 6. Erect fencing that's visual rather than private. If you want to make your small backyard feel bigger without the square footage, then install a fence that's not private. Choose a design that's visual like lattice, picket or chain link with sunlight showing through to accent the yard. You might also consider materials like wood or vinyl to add onto the natural appearance of the small yard. Local fencing contractors will be able to recommend the best materials and height for your needs.